The most common mistake that is made by homeowners is when someone rushes into the decision by choosing the cheapest products on the market. Yes, you will save money on the upfront costs of installing these materials. But, you could be facing expensive costs in the future if you cut corners on the most important details for your home. Instead of shopping based on price alone, we invite you to consider the value of the products that are offered. Price refers to the total amount on the bill. On the other hand, the value is a measurement of the long-term benefits that are available for your family. Investing in value means that you will have window coverings that hold up for many years. These products are designed to protect your windows, manage the sunlight, and add style to your home. Not only will you enjoy the function and features to improve your windows, but you will love the improvements that are available for your curb appeal as well. When it is time to choose the products that are installed in your property, then you need to talk to the local experts: McNeill Palm. We are here to answer your questions and offer assistance with every aspect of the designs, plans, and installation. Our team provides a full-service solution. So, you can access everything that you need from one simple location. Rest assured to know that we provide competitive pricing without sacrificing the quality of the materials that are provided to your family. Hunter Douglas: These window coverings have a great reputation as some of the best solutions in the industry. If you want quality for your home, then you need to consider the benefits of the Hunter Douglas brand. We offer these products because of the long-term durability that is available. Plus, they have stylish designs that will make your home look great. 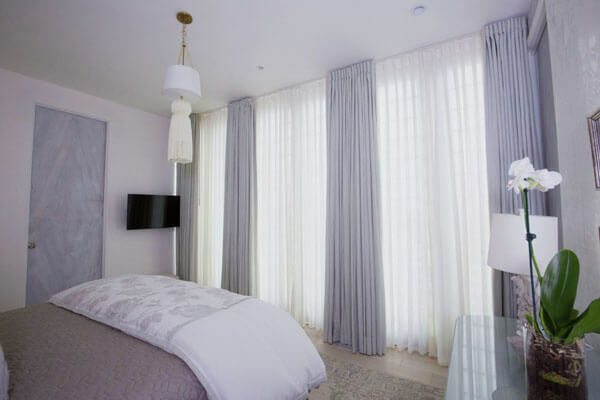 Repairs for Hunter Douglas: Do you need to install new Hunter Douglas products, or are you looking for assistance with the repairs that are needed for your current materials? There’s no need to spend money on a new installation if your current products are in good condition. We are available to assist with ongoing repairs to ensure the durability and lifespan of your window coverings. Motorized Hurricane Shades, Shutters, and Screens: What should be done if a hurricane is moving towards your home? You need to have a way to cover the windows to prevent damage. These hurricane products offer simple, fast solutions. You can protect your real estate investment and decrease the potential damage that can occur due to rains and high wind. Motorized Draperies, Awnings, Shutters, and Shades: Also, consider motorized features for the window coverings inside your home. It is convenient to push a button when you want to open or close the window coverings. We live in a modern world, so you might as well take advantage of some of the best technology that is available for your home. When you are hiring a contractor, you need to be sure that you can trust the team. You are investing a lot of money into the installation. Learn about our company, and you will see that McNeill Palm has an excellent reputation in the industry. Our team will help you select the right products that will stay strong over time. Plus, we are happy to offer custom recommendations based on the things that are needed for your family.